The Kado XT fits perfectly into the conventional cutout of a 3-phase connection and can be equipped with five or six poles. 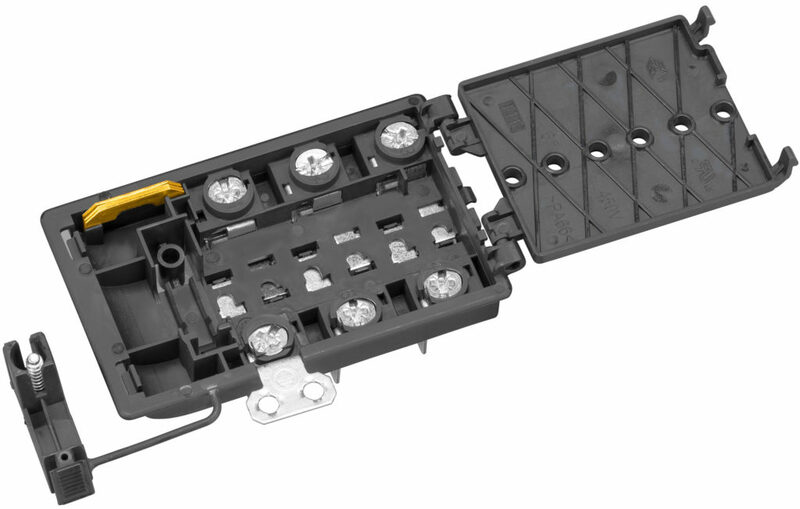 This innovative cable connection box therefore replaces Kado K 1/5 and Kado K 1/6 units and also offers some impressive new features. Kado XT complies with requirements to EN 60335-1:2010 glow wire test GWT 750 °C/GWIT 775 °C. All advantages at a glance: low-profile design; with Rast 5 or insulation barrier; user-friendly strain relief; possible pre-assembly; final inspection through test openings even when the connection box is closed; perfect for cooking hobs, ovens, cookers; suitable for flexible wires 1,5 mm²-6 mm². Produced by Electro Terminal, distributed in Italy by Electro Group.